In 8th grade, I was browsing the bookshelves of the library, looking for - what else - a book! I love to read. It's one of my favorite things to do. As I was walking along the shelves one book lying on an otherwise empty bookshelf caught my eye. 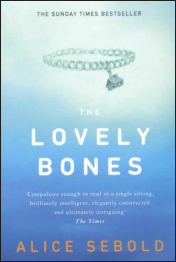 It was The Lovely Bones by Alice Sebold, released in 2002. I had never heard of it before, but no doubt most people reading this have. Warning: The following description may seem graphic to some readers. It is about a girl named Suzie who was raped, murdered, and then dismembered by a seemingly harmless neighbor. But what makes this book stand out to me is that the story is told mostly by the murdered girl from heaven. 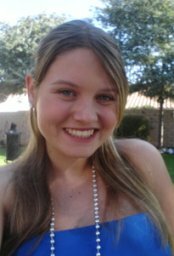 She watches as her family searches for answers in her death, and she witnesses her friend's grieving and her crush moving on. If books aren't your thing, on March 13th, 2009, The Lovely Bones will be released in theaters. Starring Saoirse Ronan (Atonement), Rachel Weisz (The Mummy, The Mummy Returns, The Constant Gardener), and Mark Wahlberg (The Departed, I Heart Huckabees, Boogie Nights, The Renaissance Man), the movie is already sure to be a hit. It was adapted by Peter Jackson, who also adapted The Lord of the Rings trilogy and King Kong. This book has stuck with me. The words are powerful and make you realize just how much you love life. I'd give it 5 gold stars. Tell us what you think! Check out the feedback form below.